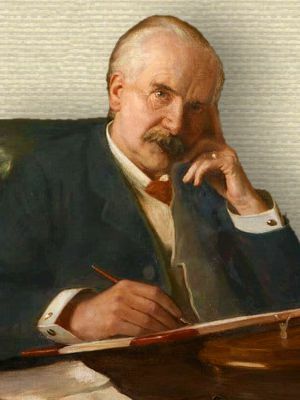 English chemist who opened his first chemist's shop in Nottingham, England, founded Boots Cash Chemists in 1880, which by 1931 had over 1,000 branches throughout the U.K.
Cheap drugs would be dear if they were cheap and nasty. 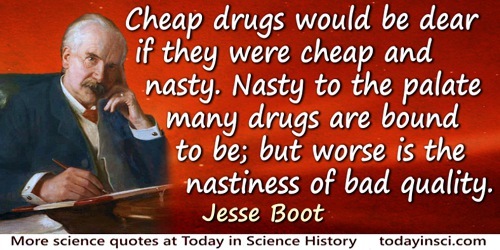 Nasty to the palate many drugs are bound to be; but worse is the nastiness of bad quality. As quoted in Charles Margerison, Amazing People of England: Inspirational Stories (2010), 270. 2 Jun - short biography, births, deaths and events on date of Boot's birth.